In the weeks ahead, as spring segues into summer, millions of kids will be celebrating transitions of their own with graduation and confirmation parties. If you're hosting or helping with one of these gatherings, you'll want some easy party food, and Congo bars are a perennial favorite. These rich and chewy blond brownies, packed with chocolate chips, nuts, and coconut, are quick to put together and popular with any group of graduates from kindergarten to college. 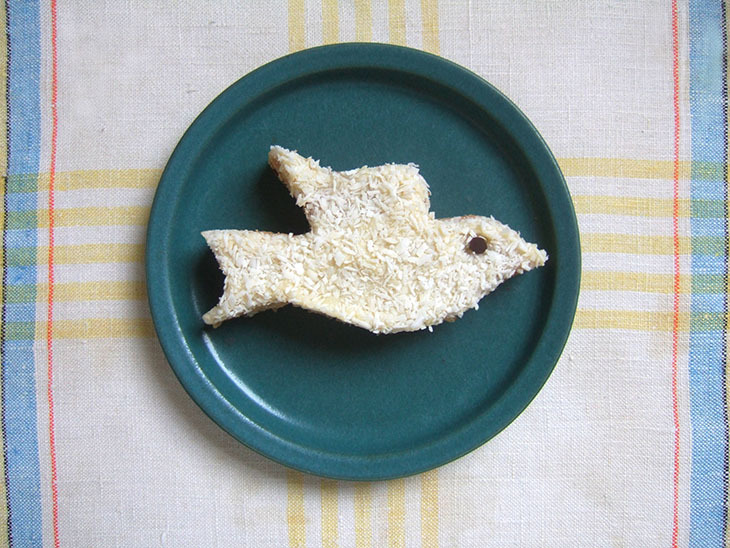 You can dress up the bars and make them appropriate for the occasion by cutting them in the shape of a dove. The dove is meaningful in Christianity as the symbol of the Holy Spirit. It can be just as meaningful for graduates, as it symbolizes the ability to soar to new heights. Easy directions for making doves follow the recipe below. And for inspiration, here are a few famous quotes about flight. My favorite shapes for Cowboy Cookies include the Dove cookie cutter, the Butterfly cookie cutter, and the Frog cookie cutter.